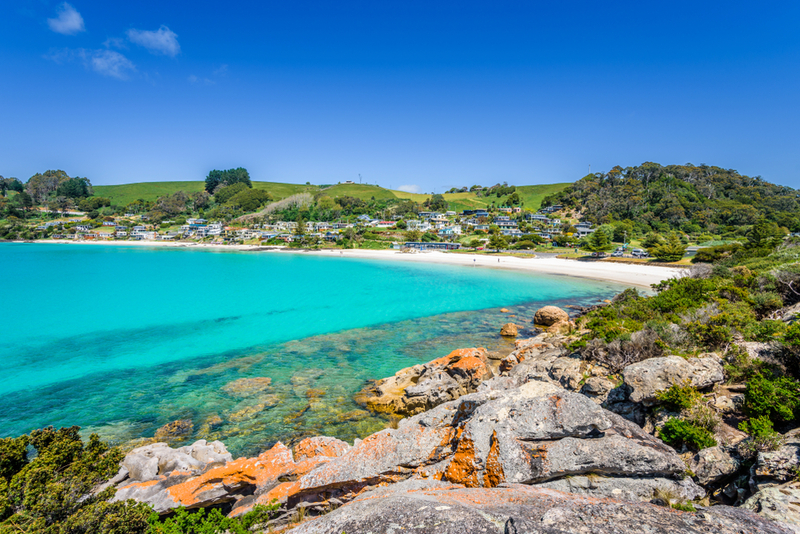 If you disregard the cooler climate, Tasmania’s North Coast could be mistaken for a tropical destination. 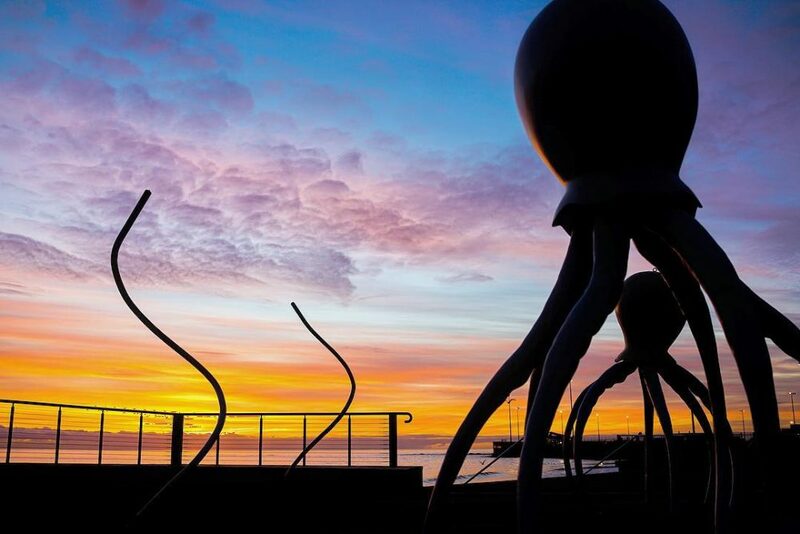 It’s the ultimate oceanfront environment for those living in the actual tropics wanting a cool getaway, or a quick weekend escape for those residing in Hobart. 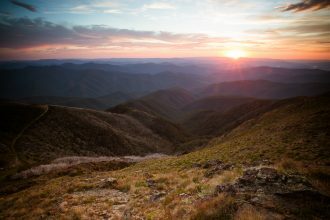 The best section of Tasmania’s North Coast is between Devonport and Stanley, featuring stunning beaches, peculiar towns and a sprawling coastal drive with an accompanying one-way railway track. So if your car is packed and ready, let’s go! 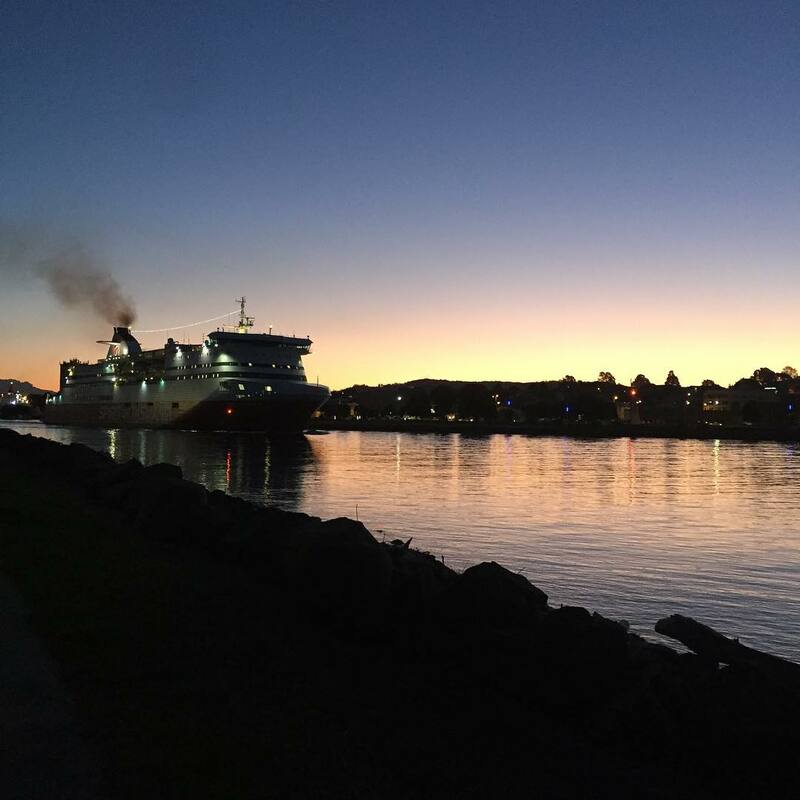 Devonport is the first thing you’ll see when travelling to Tassie via the Spirit of Tasmania. 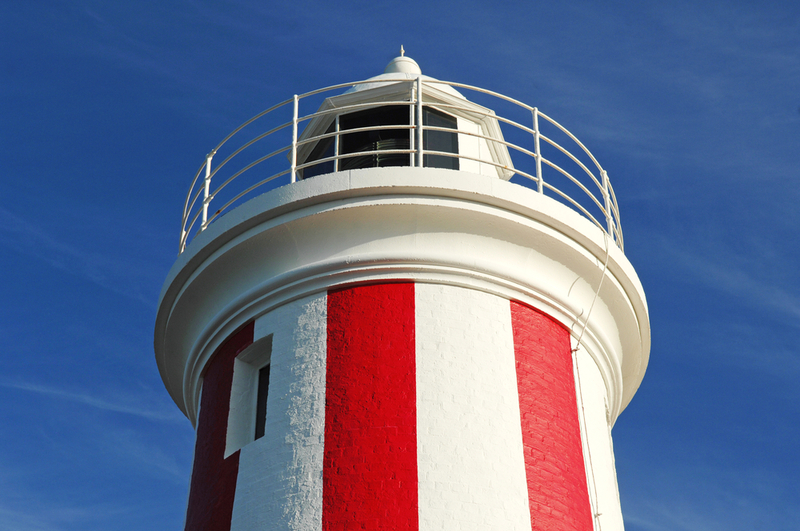 Depending on which side of the ship you’re on, you could even get a lovely view of Mersey Bluff Lighthouse and the nearby picturesque Aikenhead Point. 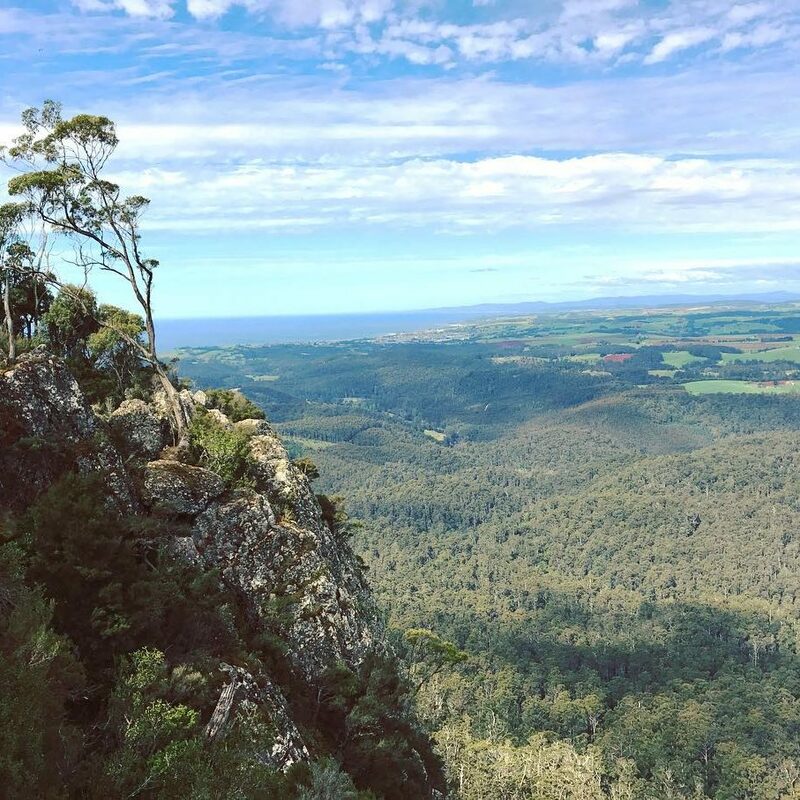 If you’re coming from the south, then check out our road trip guide between Hobart and Cradle Mountain – just change the final destination to Devonport! 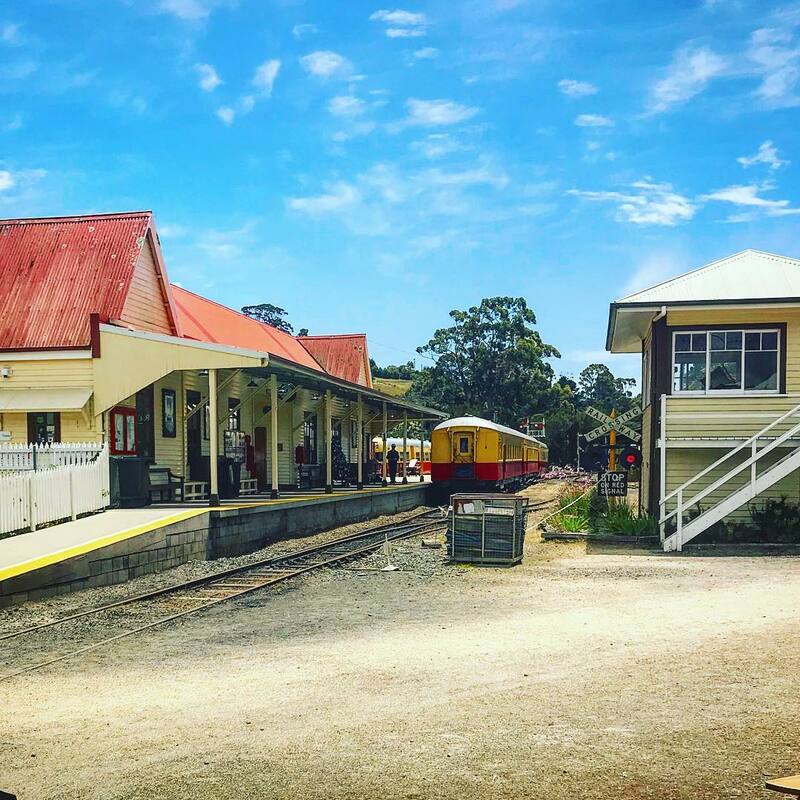 Make sure to drop into Tasmania’s largest antique emporium, with four floors of fabulous perusing; and if you’re a train enthusiast or have restless kids, hop aboard a steam train at Don River Railway and check out their train collection. 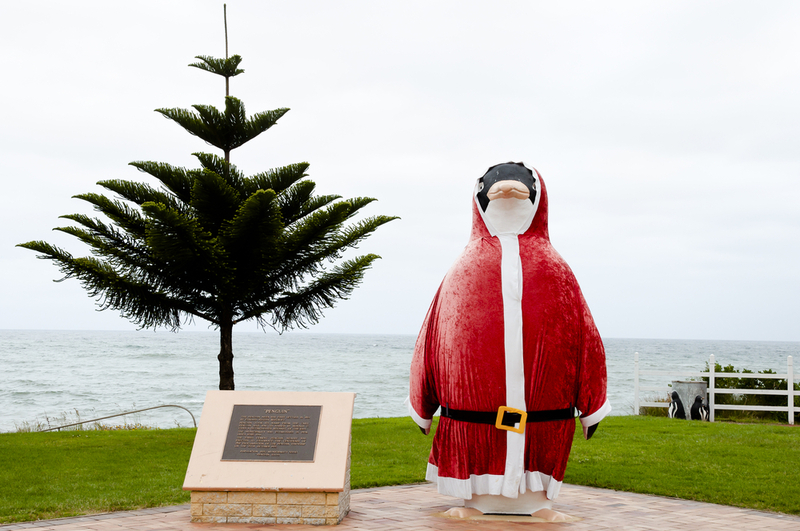 The people of penguin – believe it or not – are huge fans of penguins. 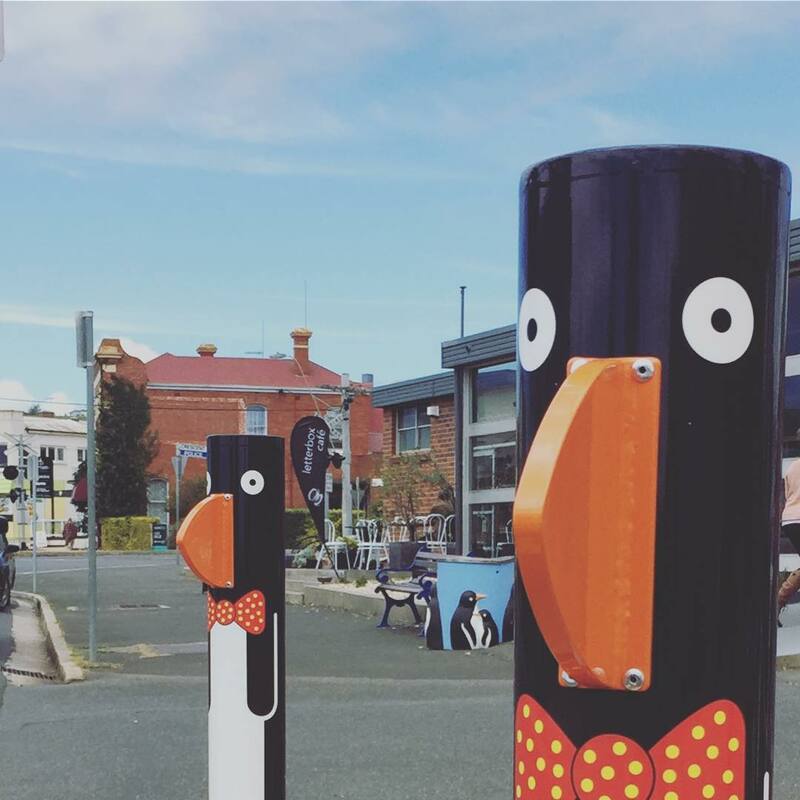 They have penguin bollards, penguin rubbish bins, penguin murals and a large penguin statue whose attire changes regularly. If you’re here at the right time of day, during the right seasons, you could also see actual penguins. No prizes for guessing where the town’s name comes from. (For more information on seeing penguins in Penguin, call or visit the Penguin Visitor Information Centre.) 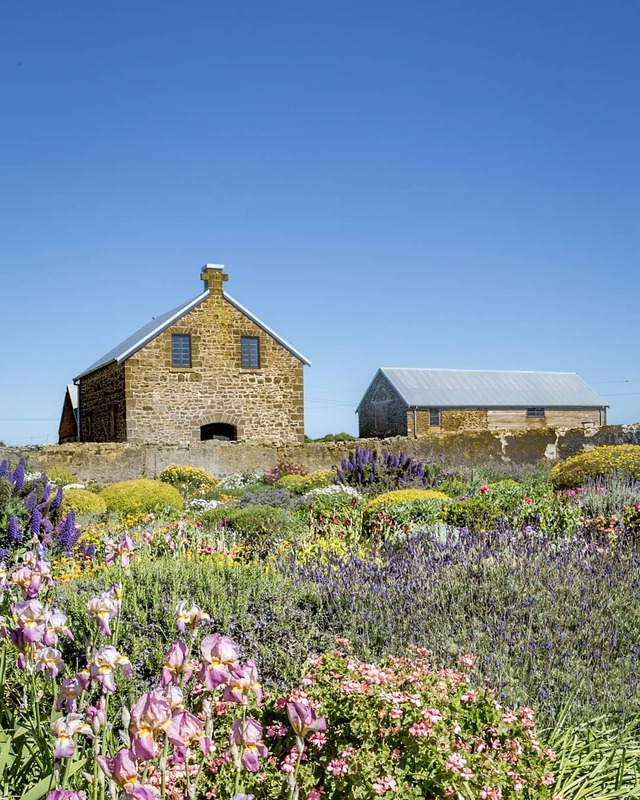 The town itself is a sprawling treasure trove of photo opportunities, cafes and speciality stores; and if you want a gorgeous vantage point of Penguin and the surrounding coastline, take a short walk up Mt Gnomon south of Penguin in the Dial Ranges. Nothing encapsulates the seaside town of Burnie quite like their majestic sculptures by the beach. They’ve got a playful allure that challenges the mind, and they’re surrounded by a winding coastal walk, crashing waves and vibrant locals. But while Burnie shares all the expectations of a large town, it’s what’s just outside the city limits that make it worth a visit. Book yourself a tour at Hellyers Road Distillery and get a glimpse (and taste) of what it takes to make a stunning single malt whisky. 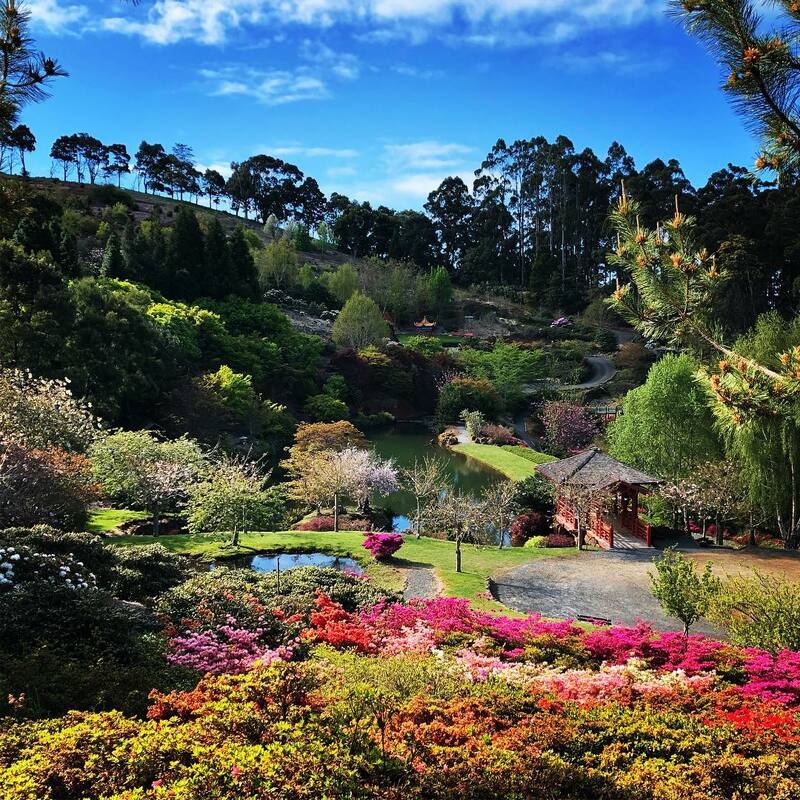 About a kilometre south of Hellyers is the Emu Valley Rhododendron Garden, which looks just as good as it sounds. 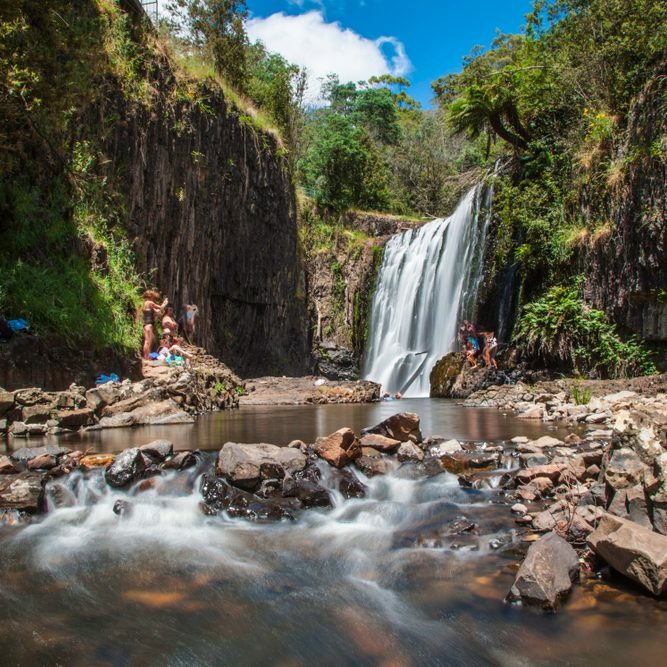 Head southwest for 11 kilometres and you’ll reach Guide Falls, a hidden oasis of tumbling water and luscious greenery. 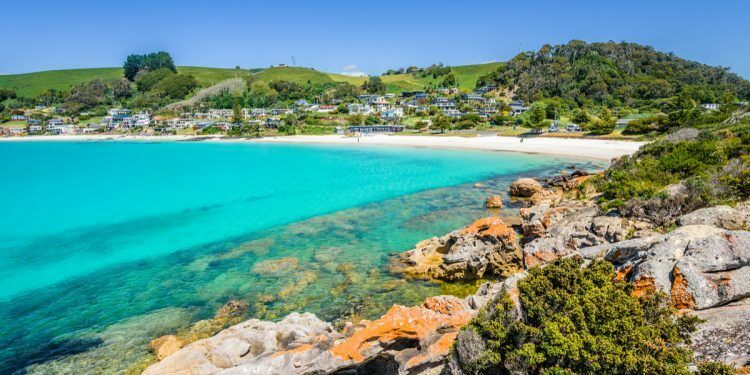 Wynyard is both the name of a busy train station in Sydney and a tranquil seaside location on Tasmania’s Northern Coast – guess which one we like better? 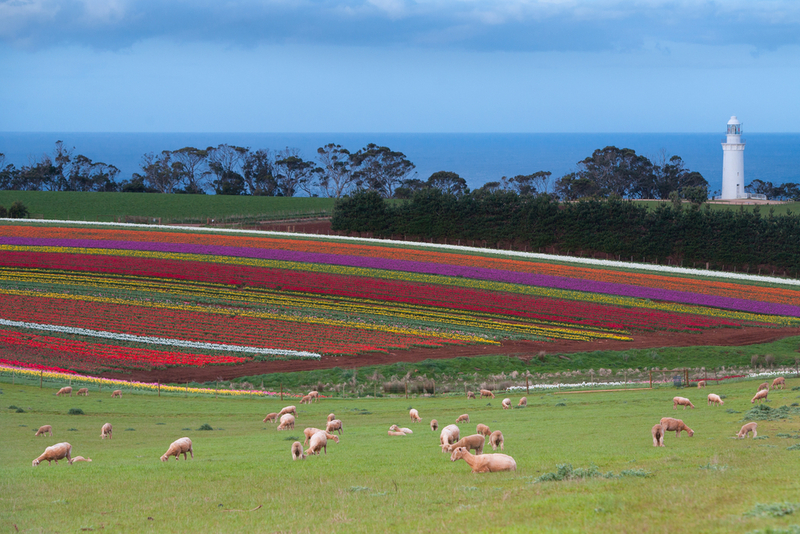 Wynyard, Tasmania harnesses some truly eye-catching landmarks, with the most popular being the Table Cape Tulip Farm. Highly recommended to visit during spring, where you get to witness a flat field of blooming tulips in various colours. 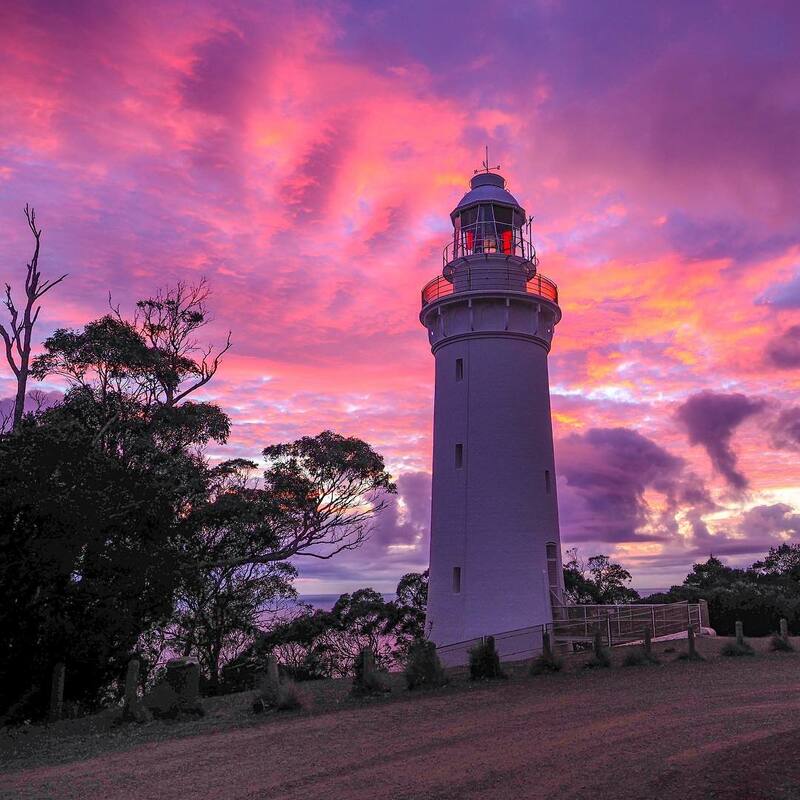 While you’re there, have a wander over to Table Cape Lighthouse and Table Cape Lookout. Then, when ready, head back towards the town limits and down to the shore for a noteworthy walk along the beach. 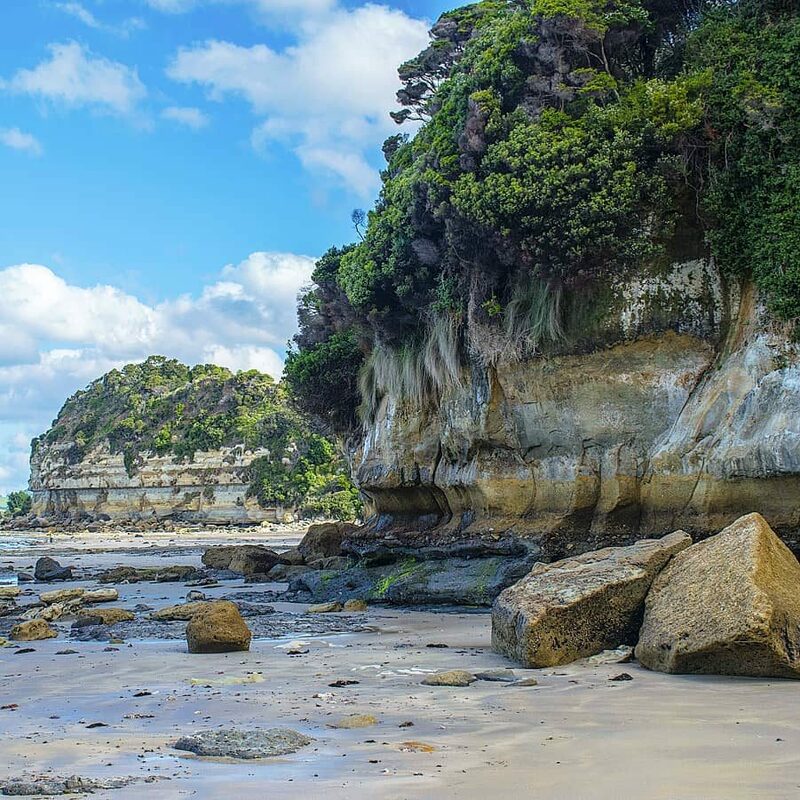 Here you’ll set eyes on Fossil Bluffs, a range of protruding rock formations that have been shaped by the nearby sea. You won’t find a Kmart around here, but you will find one of Australia’s best beaches. Thanks to the tidal currents, the waters along Boat Harbour are dripping with vibrant turquoise, which is most notable in Boat Harbour Beach. As you drive down the gentle cliffside, you may have to pinch yourself to really believe it. 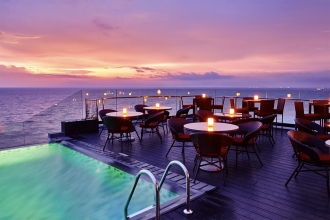 The nearby life-saving club features a cafe that serves up expected beachside favourites – and yes, you are allowed to swim in the beach. 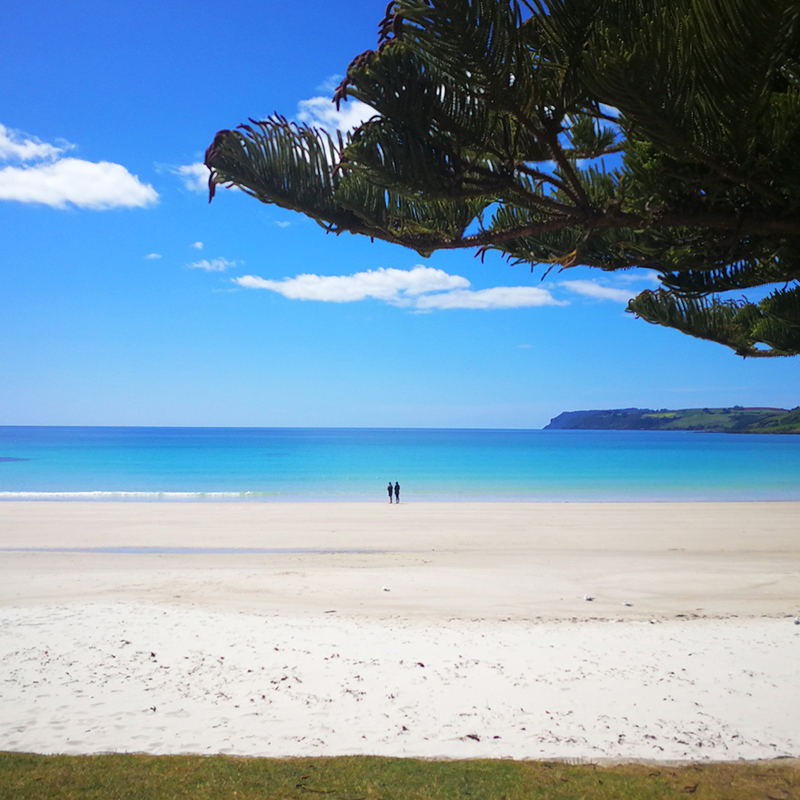 If you continue along the coastline (preferably by car) you’ll end up at Sisters Beach. 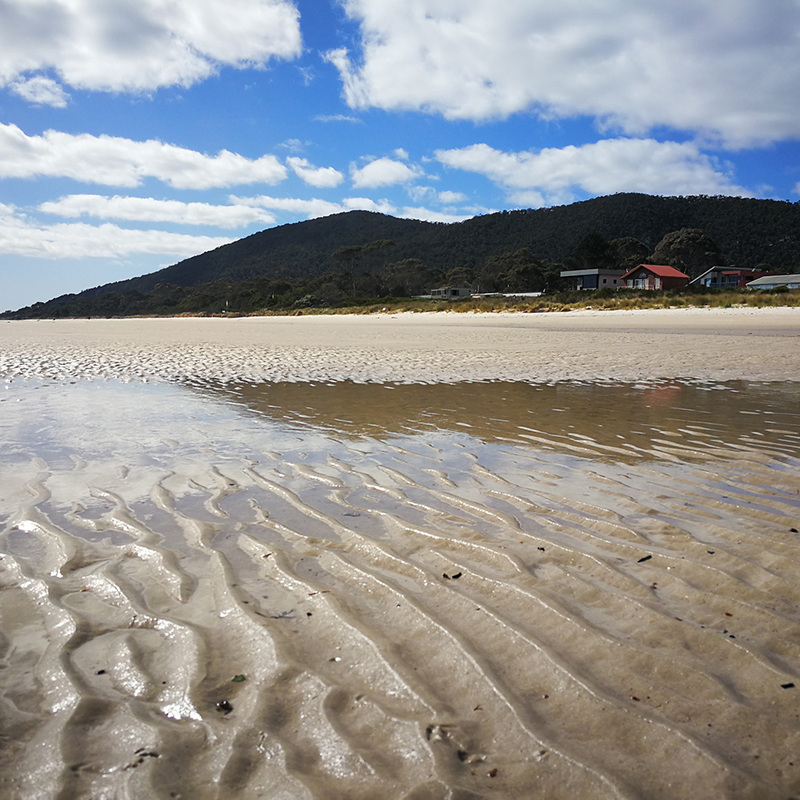 The best time to visit is during low tide, where Sisters Beach ripples out a hundred metres, affording unique photographs like the one above on the right. If there’s one thing you cannot miss in Stanley, it’s the enormous volcanic plug at the end of the peninsula. 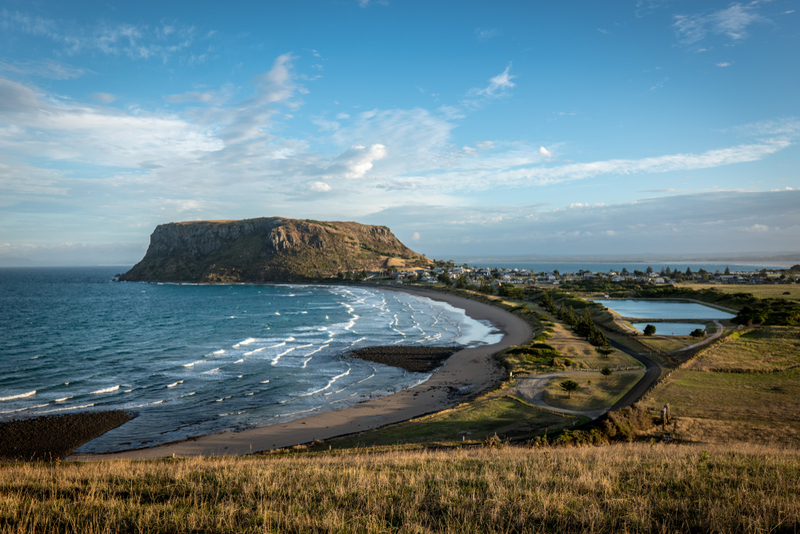 The flat-roofed rock formation is called the Nut, which could either be from its Aboriginal name “Moo-Nut-Re-Ker” or from a planned detonation of explosives in 1892 which did nothing to the rock (“hard nut to crack”). 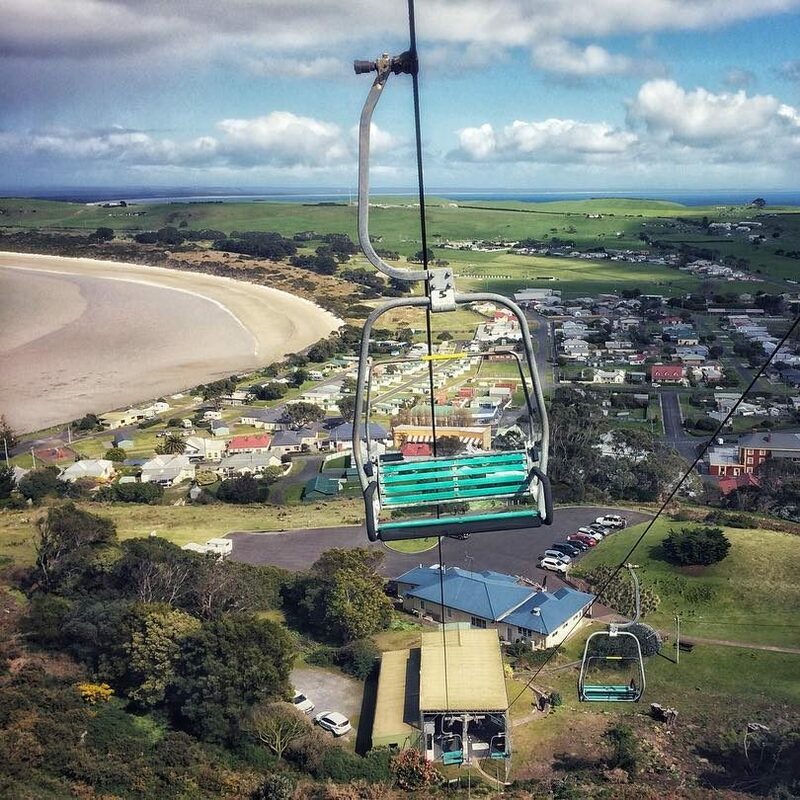 You can climb up the side of it or take a leisurely chairlift to the top and back. While the Nut is a huge drawcard for tourists, we also recommend taking a trip through the town’s colonial buildings. A prominent spot is the Highfield Historic Site, which is an accurate depiction of home and farming life in the 1830s. Book for large groups or drop in for a self-guided tour with an introduction by a guide.